Replica of a J & G Lines rocking horse on safety stand. 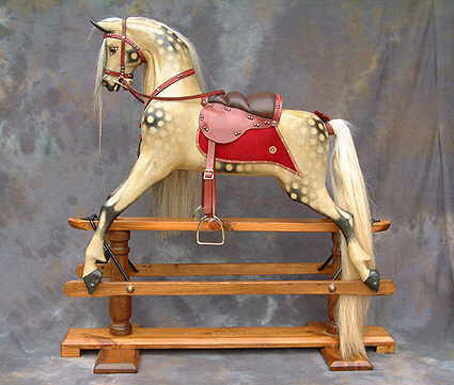 A replica of a J & G Lines 'extra carve' rocking horse in original style dappling and tack. He has a red saddle blanket with leather trim and dark red braid decorating the tack. A compact, practical rocking horse, but still large enough for adults to ride!